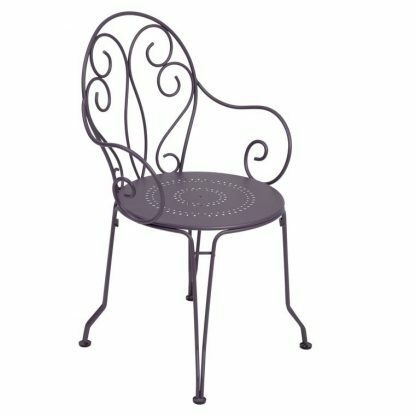 The Montmartre armchair has a steel-rod frame that’s oh-so-light… scrollwork full of freshness… a comfortable and generously proportioned seat… and perfect stackability (is that a word? 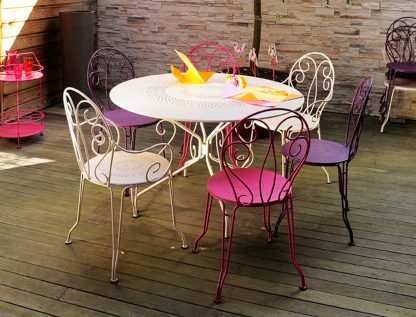 it is now!) – the Montmartre armchair brings all the comforts of the present to a product steeped in tradition. 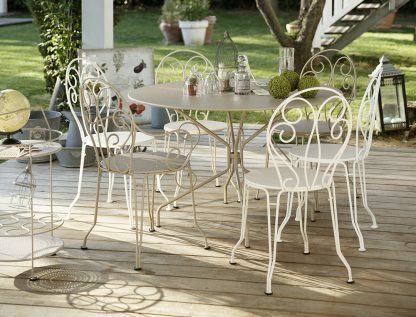 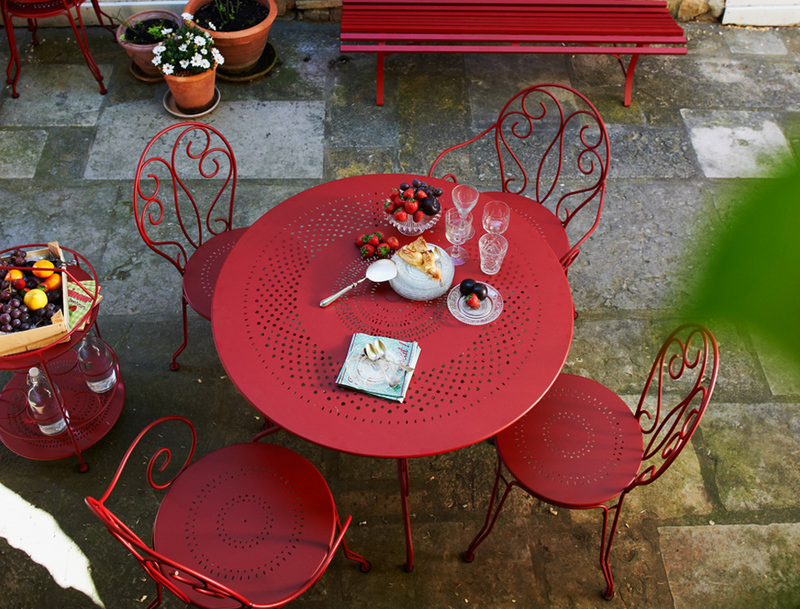 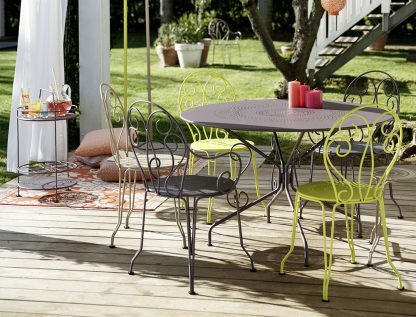 Recalling classic garden furniture from years gone by, the Montmartre range sits quietly in any traditional garden setting. 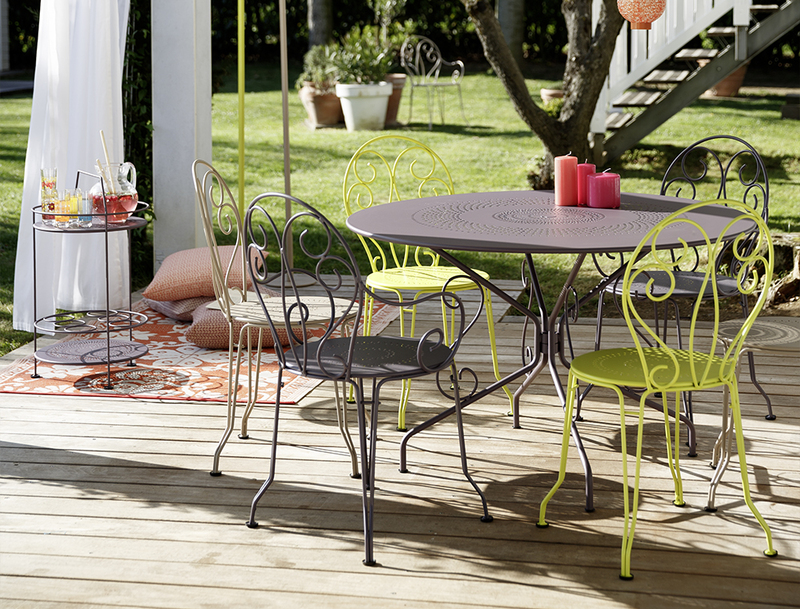 But you could bring it band up to date by choosing Montmartre in a bright, zesty colour, one that pops out!